I buy a lot of different Pop Tart flavors as well as the knock-off store brands; one of my boys is allergic to strawberries so I try to get him a flavor that he really likes when I am shopping. 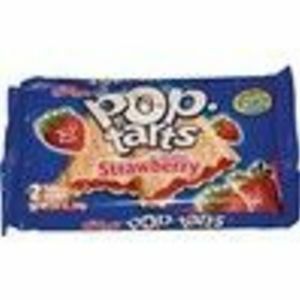 The Strawberry Pop Tarts are sold in two different versions; plain and frosted. The frosted version is sweeter and tastier but one of my boys doesn't care for any of the frosted Pop Tarts because of the way that the icing tastes when it comes out of the toaster. 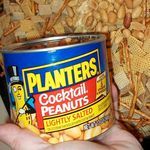 These can be eaten straight from the pack or toasted; if you want to simply warm them up a little you can put them in a toaster oven for a couple of minutes. Microwaving them will result in the edges getting hard plus you run the risk of the filling being super hot. One of the odd things about Pop Tarts is that they are twin-packed but the suggested serving is one pastry. Each serving contains 190 calories, 4.5 grams of fat, 35 grams of carbohydrates and 2 grams of protein. If you are getting the frosted version the values are a little higher than that because of the icing. Strawberry isn't my favorite flavor of Pop Tart but there are times when I get a craving for one. At almost 200 calories for one single Pop Tart they aren't something that I can indulge in all that often. 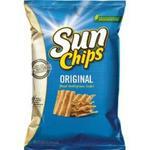 Even though these are considered a breakfast item they are something that get eaten at other times as a snack. These baked pastries are very unique. First you can eat them right out of the package, or you can have an amazing hot breakfast. Now this is not gourmet dining, but for a warm treat in a short amount of time, PopTarts are the way to go. The strawberry version comes in plain or frosted, which I recommend if you want the full experience of a PopTart. These can be made in a standard toaster or I prefer the toaster oven. You want to watch them, they are prone to burning, especially the frosted ones. I would recommend a few minutes on medium toaster setting, or just until the edges start to brown. Be very careful when removing them, they are Hot. It's a great treat when you break them in half and see the hot, oozing fruit inside. The strawberry smells delicious, and that first bite is awesome. Now mind you , they can be eaten right out of the package, but this is more like a cookie, not a warm breakfast treat. And when they are not heated the inside filling is not that good. 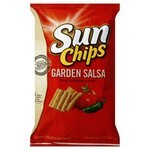 Theses are great for after school snacking, or putting in the kids lunches. Easy and fast treat for any time of day. I have a major love / hate relationship with Kellog's Pop Tarts - Strawberry. The main reason for that is because they are so good. They are also very inexpensive as well. I love the filling the most. It somewhat reminds me of Smucker's Jam. It is very, vey sweet. Normally, I would complain about that. It is not too sweet though. The dried frosting area is an ultimate treat as well. It helps to highlight the favor of the filling as well as the crust area. The crust area would be very bland if it were not filled with something. If you were eating the crust alone, you'd feel like your mouth was too dry to swallow it comfortably. God thing that that is not the case. Kellogg's Strawberry Pop Tarts are at their absolute best when they are heated in the toaster. My children eat them without toasting them. I have never been able to fully enjoy them that way. The hate relationship that I have with them is as a result of the sugar content and calorie content, approximately 400 calories per two pack and way too much sugar. The worst part about them is that they are mostly empty calories. 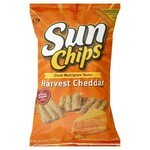 I would recommend these for a once in a while treat rather than a dietary regular. In my generation, before Kellogg's Pop Tarts were born, we used to have cold cereal and milk in the morning, or if you were lucky (perhaps on a weekend), you got hot porridge. I remember Pop Tarts being advertised on the television as a pastry which you drop into your toaster and "pop", it's ready in seconds. Suddenly, an alternative breakfast was born! The hot gooey strawberry filling matched perfectly with the warm pastry and they certainly left you wanting more. As decades have gone by and the people have spoken, we have acquired more healthy versions of breakfast bars made with all sorts of "natural" ingredients like oats, honey and raisons. Sure, Pop Tarts still have their place in the market, but they are not the healthiest option, nor are they made with natural ingredients. They are perfect however for a quick snack on the go. They don't have to be warmed up at all and are just fine as they come out of the packet. You get two Pop Tarts in each foil and there are many other equally satisfying varieties to choose from. Nutritionally speaking, I wouldn't have these every day, but there are occasions in which they are spot on! Strawberry Pop Tarts are a childhood classic for those of us who grew up in the 80s. They are tasty, and when we get Pop Tarts these are almost always the ones my kids pick. That said, they are pretty terrible. They're artificial chemical laden junk food disguised as a legitimate breakfast option. I hate to send my kids the message that eating something like this for breakfast is a good idea, so I don't buy them very often. These strawberry filled pastries are a great snack. They are obviously originally designed to be put in the toaster, but the microwave is a quick and easy way to heat these up as well and it prevents the possibility of burning the crust. This is not fine-dining, but definitely a good sugary treat. I like pop tarts sometimes, but they are really just too sweet. You may say they are supposed to be like that, but I find them tasting way to artificially sweet. You can obviously tell they are not made with real strawberries. I think they should at least make you think they are made with natural flavors, right? 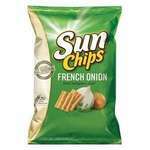 Anyway, I like these a lot better toasted or microwaved because you can't taste the false flavoring then! I know kids love these, but for me they are gross. They are pretty cheap, and a large size for what they are, but I still am not a fan. I would not really recommend these to anyone because, one, they are gross, and two, they are unhealthy. They are full of unhealthy sugar and other things not so good for you. I'm not an expert obviously, so you can go right ahead and eat these, but I think you can find better alternative to these that are tastier and even healthier. Avoid these! Summarize this product in one sentence. Kellog's Pop Tarts are one of my children's favorite breakfasts during the week, when there is not a lot of time to cook. They also enjoy them as a snack after school. The value for the money is good. The only complaint I have is that they crumble so easily, I often have to get the vacuum cleaner out to clean up the sticky crumbs.